The prices remain US$99 for the full version of either PSE 9 or PRE 9, and $149 for the bundle package containing both. 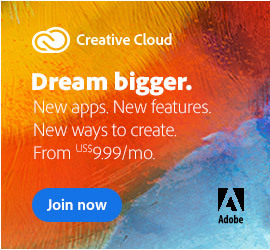 To add Adobe’s Plus Benefits runs $30 more. Students and teach­ers can grab the full education versions for $69 each (31% off), or $119 for both – with free shipping (the Back-to-School Special) until October 31st. 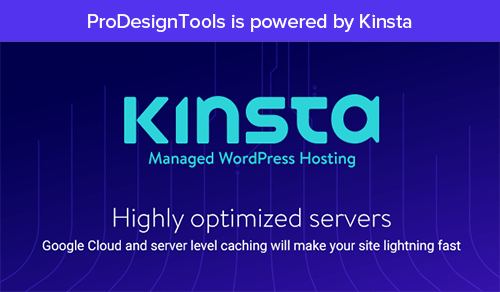 The product languages available today include English, French, Dutch, German, Japanese, Swedish, Italian, Spanish, Portuguese, Polish, Russian, and more. Moments ago Adobe also updated their cash­back offer where you can get a $20-$30 rebate on Photoshop/Premiere Elements 9 in the US and Canada. No coupon or promotion code is necessary for the discount. Photoshop and Premiere Elements 9 will run well on 32-bit or 64-bit systems, and are designed for Windows XP, Vista, Windows 7, or Mac OS (see the full system requirements for PSE 9 on Windows or Mac; and PRE 9 on Windows or Mac). It’s now sold as multiplatform software, meaning your single purchase can be installed on either Mac OS or Windows. And similar to other Adobe software, you may be able to put Elements 9 on up to two computers, subject to the terms of the software’s license agreement. See the new product documentation (online or PDF) that just went up, including the Photoshop Elements 9 keyboard shortcuts. What’s new in Adobe Elements 9 – what are some key new features? Elements is already the #1 selling consumer photo- and video-editing software.† Now with the benefits of Photoshop CS5 and Lightroom 3 as cousins, this new 9th-generation version of Elements is looking like a smooth and polished release. Learn more or review the three new books on Photoshop Elements 9. 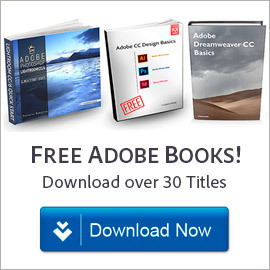 There’s also a free new 29-chapter video tutorial series entitled, “Learn to Use Photoshop Elements 9.” If you’re having trouble downloading the software, use our PSE 9/PRE 9 direct download links to access the products without the Akamai Download Manager (Adobe DLM). * Elements 9 will not overwrite earlier versions. If you install PSE9 or PRE9 on a computer with older software, both versions will be on your system until you remove one. You can upgrade a copy of your catalog to move everything over the first time you launch Elements 9. If that doesn’t happen automat­ically, you can force it to happen via File > Catalog > Convert. † Source: The NPD Group/Retail Tracking Service (January 2007 to March 2010) based on units sold in the Video and Photo Editing categories. Hello, I’ve just downloaded Photoshop Elements 9 for trial and it’s asking for a serial number – how do I get one? Hi Herley, thanks for your question. Everybody should be able to run the trial because the product is brand new… See the text and screenshot under “Converting your trial” on this Elements 9 Trial FAQ for the type of screen you should be looking for when you run your product. Then just select the bottom option there. 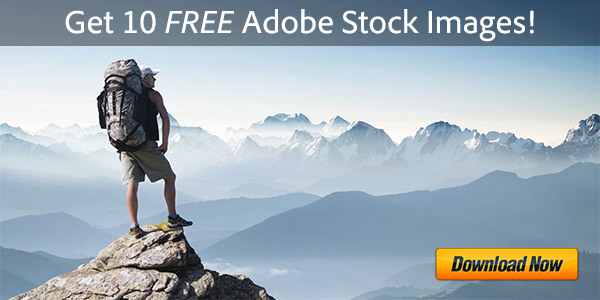 When will the Spanish version of Adobe Premiere Elements be available? Greetings Harry, good question. Adobe’s product pages say many languages are available, but the download pages do not (yet). Hi all-knowing, great “Easter Egg” – thanks! I know there is a problem (bug) affecting the ‘Content Aware’ healing brush and I really want to use that feature on some old photos, but I know that Adobe is aware and that shortly it will be fixed. Everything else works great, it installed without any problems, converted my PSE 6 catalogue without any problems and all the tools I have tried have worked as advertised. At the moment it is wading it’s way through over 17,000 photos using the face tagging feature and from the look of it, well it might just go on most of the night :-) but I will only have to do it the once because from now I will just transfer the tags into future releases when that happens. PSE 9 does everything I want it to – and more – and I will have great fun over the next several months getting to grips with all the potential that is now available to me. That’s fantastic Glenn – thank you so much for your kind words and for stopping by with your product review – appreciate it and glad you like the software! OK, I admit it. I’m a dinosaur. I have Version 2.0.2 (1990-2002), Adobe Photoshop Elements plus Album feature. Every one of my 25,000 photos (98% still shots, 2% movie) is tagged & captioned with anecdotal text. Now, within the Album component, I can select photos I want for a slide show, burn to CD or DVD, play on another computer that has Abobe software. BUT if I simply play this same CD/DVD on computer that does not have Abobe, my files are arranged & shown alphabetically by file name and captions are missing. Will my old Album tagging and captions carry over to PSE & PRE Version 9? More importantly, will I be able to produce a slide presentation that retains my preferred order and captions that can be viewed on any computer/TV, even though it does not have Abobe PSE & PRE software installed that computer? Regarding slideshows, your best bet is to check the new online documenta­tion to see if it will do exactly what you want. In any case, you can just download and try out the free/full versions of PSE 9 and/or PRE 9 and they will not interfere with your current installation (but as always, be sure to back up first just in case!). Later after 30 days is up if you don’t purchase one or the other, you can always just uninstall them. Hope this helps! Thanks. You have given me a tad more confidence about diving into the trial version of PRE. But think I must wait until after the holiday season. Finally got the ‘fix’ update for Photoshop Elements 9 on single core CPU machines and so the ‘Content Aware’ feature is finally working. 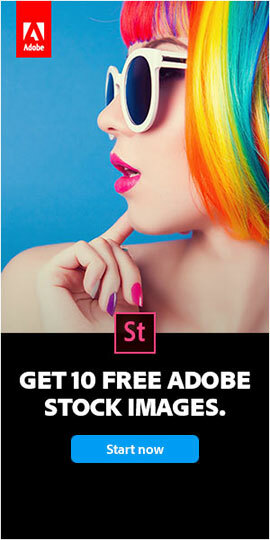 Well done Adobe. Apart from that glitch the rest of the software worked really well. On the Adobe forums some people were getting so stressed out over the problem they seemed to forget all the other things the software could do while they waited for the fix. Thank you so much for the update and follow-up Glenn – really appreciate that and glad it’s worked out with the new fix! Great to hear from you. What is the difference between adobe photoshop elements 9 and adobe premiere elements 9 vs. adobe photoshop CS5 extended. Welcome Clara, thanks for your question. Adobe’s Elements offerings are reduced versions of their full product line that are more oriented towards home and hobbyist use. Photoshop Elements 9 is derived from Photoshop CS5 and meant for photos. 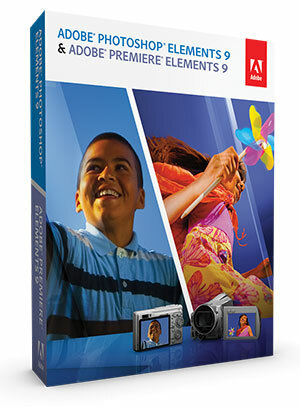 Premiere Elements 9 is derived from Premiere Pro CS5 and for use with videos. Mostly they are scaled-down and simpler, with fewer features and limited options. There is also an Organizer application that comes included with the two Elements products to help manage and integrate your set of photos and/or videos… In other words, they work together (and are sold together) if you have a collection of both types of media. Whether you should go with Elements or the full CS5 depends mostly on your needs. For some folks, Elements will be enough, while other people want the complete gold-standard. You can easily download free trials for either or both product lines and try them out to see which you like better, or which best might suit your requirements. There is also an upgrade path between the two. We also have more details on some of the bigger differences between Photoshop Elements 10 and Photoshop CS5, as well as the key difference between Photoshop CS5 and Photoshop CS5 Extended. Hope this answers it, but please post back if you have further questions! I hope somebody can help. I have got Adobe Photoshop Elements 9 and I want to take the blur out of one of my photos. I have tried but dont know how to do it. Hi Tiekie, good question – it’s easier to add blur than to remove it! Photoshop Elements can help to some extent using Sharpening tools – for example, see the help page from the PSE 9 online documentation on how to sharpen an image. Hope this helps! I bought Elements 9 and thought I could put frames around my photos to publish on Facebook, but cannot find the way to do that – it just tries to sell me something else. What do I need for the picture frames?? I was wondering if, after I buy this product from a store or online, will I have to pay a monthly subscription? I’m really hoping that I won’t, because I would love to buy this product – but I won’t be able to afford it if I also have to pay a monthly subscription fee. Greetings Thinker, thank you for your comment. Fortunately you don’t need to get any subscription at all – just buy the product up-front, and then it is yours for life and will work permanently. There does exist a subscription option for the Elements software that’s called “Plus,” which offers the convenience of 20GB of online storage and exclusive access to libraries of how-tos, artwork, templates, and more – but it is not required for the main product(s) to run, so is completely up to you. If you like, you can download a free trial of PSE 9 first to run it through its paces, and you may also be interested to know when Photoshop Elements 10 could be coming. Please can you advise why it is that when I use Premiere Elements to edit a video, I receive a serious error message warning and the software shuts down ? I am trying to run this on Windows 7. Sorry to hear that W J – what version of Premiere Elements are you using, and what is the exact error message you receive? Also, are you sure your software is completely up-to-date? Make sure by checking “Updates…” on the Help menu. But knowing the precise message and version would be a big step towards diagnosing the problem – thanks. I am having a very difficult time in trying to share my photos on Facebook using PSE 9. Is there a photo that walks one through the procedure on doing this? Thank you. I meant if there was a tutorial that walked one through the correct procedure. Sorry bout that. Sure Chet, here’s a brief video demo below (play it full-screen), as well as the documentation pages on how to share photos in Photoshop Elements. I have recently installed Photoshop Premiere 9! I thought that I would be able to learn how to use it using the tutorials as in Photoshop Essentials. I was astonished to note that no such tutorials are available. Why is that? The package is of no use to me if I can not be taught how to use it! Could you please advise? Hope those get you going in good shape! Photoshop Elements 9 and Premiere Elements 9 are Out!